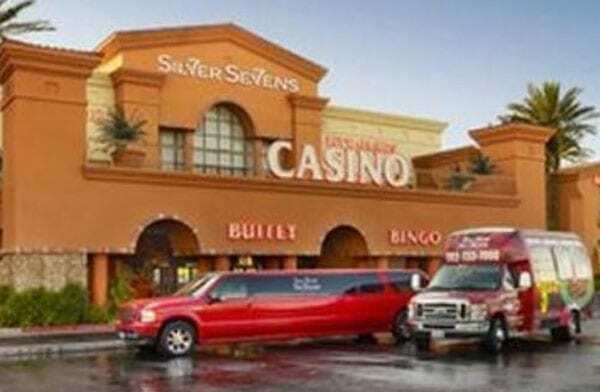 Silver Sevens Hotel & Casino is a fairly significant resort that opens its doors in mid-2013. Since its opening four years ago, the facility hosts many visitors. You will love this hotel if you are a player who doesn’t love a crowd of people. Entertainment is this facility comes from different sources. Hotel rooms at the facility are affordable. In fact, Silver Sevens Hotel & Casino offers the best rates in Vegas. You can book a room for as little as $39.00 per night. The highest amount you can ever pay for a suite is $90.00. You see! No room hits $100. 00! • The casino opened its doors on July 7, 2013. • The total number of table games in the facility is 25. • There are 1, 001 gaming machines. • You will find two poker tables in the facility. • The facility operates 24/7. • Total casino space at Silver Sevens is 35, 000 square feet. • Hotel room rates start from $39.00-$90.00. Since the hotel opened its doors in 2013, a lot is taking place here. Many visitors check into the facility. Many visitors, who check into the hotel for the first time, always come back. One of the reasons why they return is because of the low rates. But there are other reasons why visitors see it is the right thing to come back. Silver Sevens offers an ample place for those who want quality gaming. In as much as gambling is fun, a section of punters wants a quiet location. Some do not want where there are many people. Insignificant facilities, you will need to wait for a long time during checkups. At the Silver Sevens, it is fast. Because it is a reasonably big facility, there are not many people. Also, this helps during checkups at the entrance. When it is the right time to eat, there are three options. The facility offers three restaurants. One thing you will love about Silver Sevens’ restaurants is that they are open throughout. The aim of doing so is to help serve clients who check into the hotel. • The Sterling Spoon Café. • The Back Room at The Sterling Spoon. Chefs with a long history in the industry oversee these restaurants. Of course, the work of these long-serving chefs is not to manage. They take the lead in preparing delicious meals. For this reason, you will keep coming back for more delicacies. I will not forget to mention that the staff at the facility is on their toes. You will receive a personalized. The team believes that every visitor who checks in the hotel is a VIP. With a gaming space of 35, 000 square feet, you can expect the operator to put many gaming equipment. Also, This is what the operator does. The casino area provides space that accommodates 25 gaming tables. There is also space for two poker tables and a massive 1001 slot gaming machines. Oh! Yes, there is also a 195-seat Bingo Room. So, what are you waiting for? Walk down to Silver Sevens Hotel & Casino for exclusive entertainment.